Doesn’t that photo above look like a photo of some rock stars? Well it is. 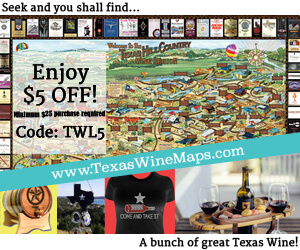 Not rock stars of the music world, but rock stars in the Texas wine industry. 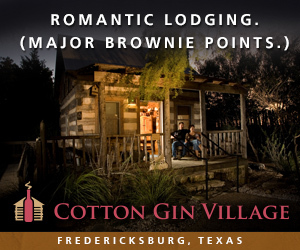 And they will soon be bringing their expertise to the Texas wine world as they partner to create a custom winemaking facility which will offer custom crushing and winemaking in the form of Texas Custom Wine Works. From left to right in the photo, first comes Dusty Timmons. 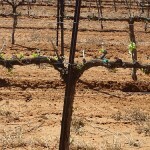 Dusty has been the viticulture advisor for the past two years for the West Texas region including the High Plains. 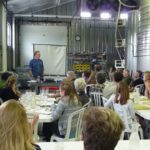 Being a viticulture advisor means he has been providing viticulture advice and technical assistance to grape growers. Dusty also has his own vineyard called the Twin T Vineyard. Next in the photo is Jet Wilmeth, owner of Diamante Doble Vineyards, a popular vineyard providing grapes to multiple wineries for 12 years. Right there means there are two grape growers who know how to grow quality grapes. Next up in the lineup is Dr. Steve Talcott, Associate Professor of Food Chemistry at Texas A&M University. His expertise is fruit and besides grapes, he has also been instrumental with the açai fruit. The açai fruit is a palm plant grown in the Amazon and Steve has already been providing the fruit to Sunset Winery for the use of making açai wine. On the far right and completing the quartet is Mike Sipowicz. 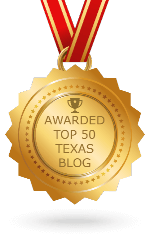 Mike has been the Texas AgriLife Extension Enology Program Specialist. What this means is he has aided Texas winemakers with any quality issues so they could produce higher quality, stable wines, consistently. 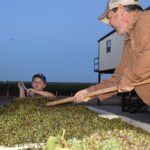 Before being the Enology Program Specialist, he moved from Texas to California and was a winemaker at multiple wineries in California before moving back to Texas. 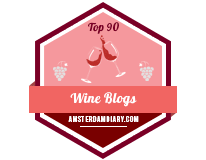 So the final person of the rock stars provides the expertise in winemaking. Speaking about Mike, Dusty mentioned, “One of the best winemakers in the state probably isn’t making wine.” Mike will also be the President of the company. 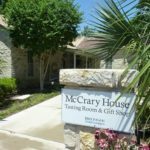 As was mentioned in our High Plains day 2 post, when we met the partners of the upcoming Texas Custom Wine Works, they were very excited in what they could provide to the Texas wine industry. With their expertise and upcoming facility, they will be able to provide any kind of service. They can provide winemaking services in addition to any viticulture and winemaking consulting. 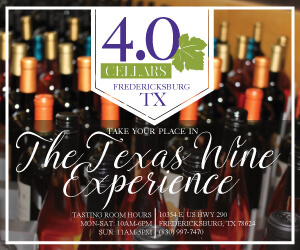 If a winery is just starting, instead of outlaying a large amount of money for stainless tanks and other equipment, they can use the crushing, tanks, and winemaking expertise at Texas Custom Wine Works to make their wine. 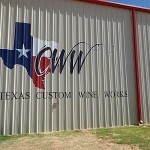 If an established winery does not have enough production space to store and age their wine, and does not want to expand which might change the look of their boutique winery, Texas Custom Wine Works can also help there. 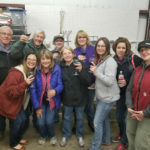 Another example they provided which Texas Custom Wine Works can solve is the transportation of grapes from the High Plains to the wineries around Texas. Grapes are harvested at night and transported in trucks to the wineries the next day, sometimes up to 12-15 hours. 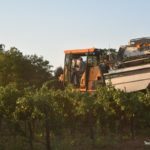 Since the grapes are sitting in a truck crushing each other with their own weight, by the time it gets to the winery the natural flavor of the grape can change. By providing crushing capability, they can crush the grapes from the nearby vineyards and ship the juice to the winery maintaining the quality of the grapes. 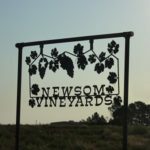 Texas Custom Wine Works will also have a demonstration and experimental vineyard. They will be working with both Texas A&M and Texas Tech University providing them a place to do additional research which hasn’t been able to be done. The facility will be 11,000-16,000 square feet of production space with offices on the front. It will be built in a modular design so they can expand as necessary if they need more tank or barrel storage space. Take a look at the below photo of the group. 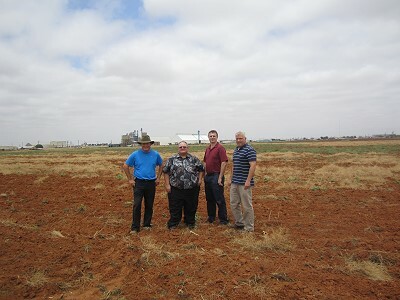 They will soon be breaking ground at the location they are standing so picture a big facility behind them. 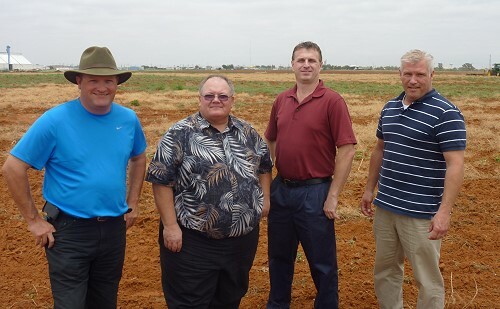 The group recommended for us to come back next year at harvest time as they should be going strong. When we do, we’ll hopefully take another photo of the group with the building behind them so consider the photo here the “before” photo. 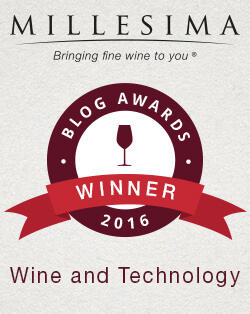 Look for big things to come from Texas Custom Wine Works. What a great team! I can’t wait to see a list of services that will initially be offered! 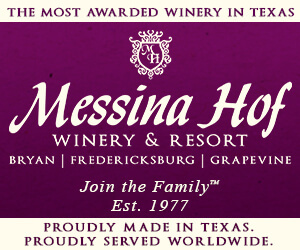 I am so excited to be in the right place at the right time for Texas wineries and vineyards. 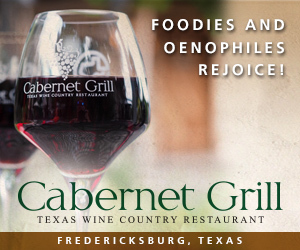 It’s great that the Texas wine industry is growing so fast. I know I enjoy many of the local Texas brands and try to support them whenever I can. Who knows, someday we may be one of the top wine producing areas in the country.